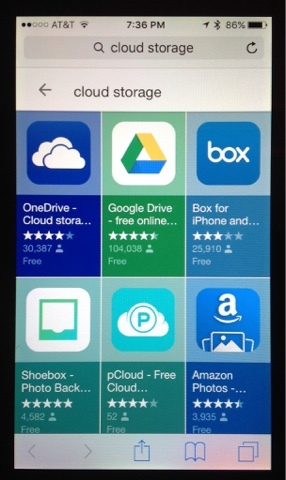 I use a few free cloud storage sites for some important home and work files that I need to access on the road. I don't like the concept of paying a fee for cloud storage so I keep my cloud storage to the minimum so I don't have to pay. For security purposes I only access these files over a secure network. Also being a Vandweller I don't want to backup using the cloud as it uses my cell data or wifi. I manage my cell data to try not to go over my 5 gig plan and I'm not near wifi often enough and long enough to back up often. I don't carry a separate camera as I don't like having to carry two separate devices (camera & phone) on my travels. I had set up to back up my photos via iCloud but soon ran out of space and turned this off and wasn't backing up during my 2015 travels. Last year in April on the way home my iPhone split open from the battery expanding and when I went to the Apple Store in MD and they advised me that my phone battery may start on fire at any time and I needed to swap it out now. (Replaced phone under warrantee) I knew then I was going to loose my 2015 Travels and personal photos. I also knew my special photos from my trip were at least on my blog for posterity as I post nearly daily. Since getting an iPhone I lamented the fact that I can upload photos from a memory card with an adapter but couldn't offload the photos without cabling to a PC and using iTunes. Merry Christmas! SanDisk came out with two bi-directional storage solutions that work with the iPhone and iPad. The first below is a flash device for iPhone & iPad devices using a lightening connection that pops out on the front and has a USB connection to move to a USB product. One of my Christmas a Presents is the second one that is wireless. This is the SanDisk Connect Wireless Stick. 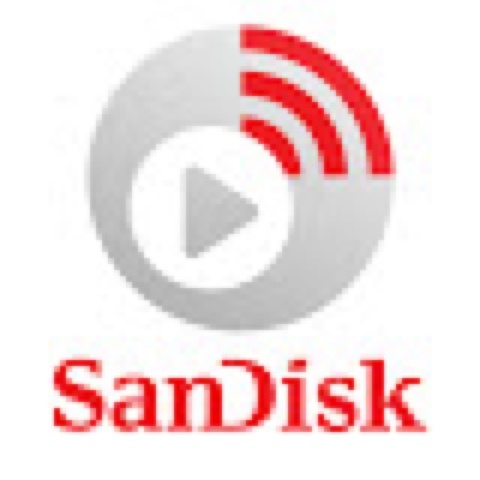 You charge it on any USB charger and you turn on the wireless connection and you connect with your iPhone/iPad by selecting the WIFI connection and after connecting using the SanDisk App you upload or download pictures. This App allows me to offload pictures from my phone and store on this wireless thumb drive as a backup and not have to use cell data, cloud storage I have to pay for and I can carry and transfer or print my pictures. I'm a happy Vandweller now that I have a great way to backup my photos anytime. Can you set it up so that your phone automatically sends each picture you take to the stick immediately after you take a picture? Oh I wish it did sync and know what had changed and automatically transferred when I make the wifi connection, but I need to know what has changed and select the files. Since this is new I am hopeful that this feature can be added to the app as an option for future releases.